If you found out that we are all living in the matrix, would you take the blue pill and live a pleasant illusion or take the red pill and live in the harsh real world? 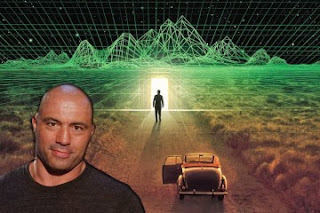 In this video Joe Rogan and Nasa Physicist Tom Campbell discuss a wide range of topics that centre around the simulation theory and the theory that our universe might just be a hologram. If we as humanity are going to evolve we need to gain a deeper understanding of the universe and also our inner-selves. Tom hits the nail on the head when he says that ‘Love’ is the optimal way for people to interact, this is only way humanity can experience real spiritual growth.